(1) These rules may be called the Companies (Compromises, Arrangements and Amalgamations) Rules, 2016. (2) They shall come into force with effect from 15th December, 2016. 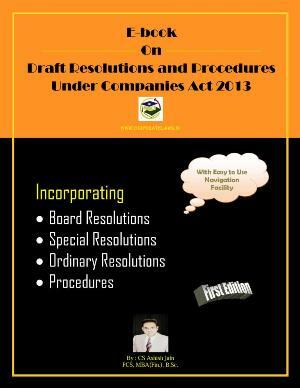 (2) All other words and expressions used in these rules but not defined herein, and defined in the Act or in the Companies (Specification of Definitions Details) Rules, 2014 or in the National Company Law Tribunal Rules, 2016, shall have the same meanings respectively assigned to them in the Act or in the said rules. For the purposes of sub-clause (i) of clause (c) or sub-section (2) of section 230 of the Act, the creditor’s responsibility statement in Form No. CAA.1 shall be included in the scheme of corporate debt restructuring. Explanation.- For the purposes of these rules, “voting through electronic means” shall take place, mutatis mutandis, in accordance with the procedure as specified in rule 20 of Companies (Management and Administration) Rules, 2014. (1) Where a meeting Of any class or classes of creditors or members has been directed to be convened, the notice of the meeting pursuant to the order of the Tribunal to be given in the manner provided in sub-section (3) of section 230 of the Act shall be in Form No. CAA.2 and shall be sent individually to each of the creditors or members. (2) The notice shall be sent by the Chairperson appointed for the meeting, or, if the Tribunal so directs, by the company (or its liquidator), or any other person as the Tribunal may direct, by registered post or speed post or by courier or by e-mail or by hand delivery or any Other mode as directed by the Tribunal to their last known address at least one month before the date fixed for the meeting. Explanation- For the purposes of this rule, disclosure required to be made by a company shall be made in respect of all the companies, which are part of the compromise or arrangement. (2) The notice to the authorities mentioned in sub-rule (l) shall be sent forthwith, after the notice is sent to the members or creditors of the company, by registered post or by speed post or by courier or by hand delivery at the office of the authority. (3) If the authorities referred to under sub-rule (1) desire to make any representation under sub-section (5) of section 230, the same shall be sent to the Tribunal within a period of thirty days from the date of receipt or such notice and copy of such representation shall simultaneously be Sent to the concerned companies and in Case no representation is received within the stated period of thirty days by the Tribunal, it shall be presumed that the authorities have no representation to make on the proposed scheme of compromise or arrangement. The person who receives the notice may within one month from the date of receipt of the notice vote in the meeting either in person or through proxy or through postal ballot or through electronic means to the adoption of the scheme of compromise and arrangement. (1) Voting by proxy shall be permitted, provided a proxy in the prescribed form duly signed by the person entitled to attend and vote at the meeting is filed with the company at its registered office not later than 48 hours before the meeting. (4) The proxy of a member or creditor blind or incapable of writing may be accepted if such member or creditor has attached his signature or mark thereto in the presence of a witness who shall add to his signature his description and address : provided that all insertions in the proxy are in the handwriting or the witness and such witness shall have certified at the foot of the proxy that all such insertions have been made by him at the request and in the presence of the member or creditor before he attached his signature or mark. Every creditor or member entitled to attend the meeting shall be furnished by the company, free of charge, within one day on a requisition being made for the same, with a copy of the scheme of the proposed compromise or arrangement together with a copy of the statement required to be furnished under section 230 of Act. (l) The Chairperson appointed for the meeting of the company or other person directed to issue the advertisement and the notices of the meeting shall file an affidavit before the Tribunal not less than seven days before the date fixed for the meeting or the date of the first of the meetings, as the case may be, stating that the directions regarding the issue of notices and the advertisement have been duly complied with. (1) The voting at the meeting or meetings held in pursuance of the directions of the Tribunal under Rule 5 on all resolutions shall take place by poll or by voting through electronic means. (2) The report of the result of the meeting under sub – rule (l) shall be in Form No. CAA.4 and shall state accurately the number of creditors or class of creditors or the number or members or class of members, as the case may be, who were present and who voted at the meeting either in person or by proxy, and where applicable, who voted through electronic means, their individual values and the way they voted. The Chairperson of the meeting (or where there are separate meetings, the Chairperson of each meeting) shall, within the time fixed by the Tribunal, or where no time has been fixed, within three days after the conclusion of the meeting, submit a report to the Tribunal on the result of the meeting in Form No. CAA.4. (2) The notice of the hearing of the petition shall also be served by the Tribunal to the objectors or to their representatives under sub-section (4) or section 230 of the Act and to the Central Government and other authorities who have made representation under rule 8 and have desired to be heard in their representation. (1) Where the Tribunal sanctions the compromise or arrangement, the Order shall include such directions in regard to any matter or such modifications in the compromise or arrangement as the Tribunal may think fit to make for the proper working of the compromise or arrangement. (3) The order shall be in Form No. CAA. 6, with such variations as may be necessary. 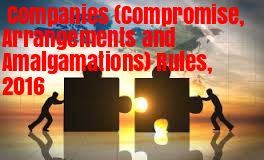 (1) Where the compromise or arrangement has been proposed for the purposes of or in connection with a scheme for the reconstruction of any company or companies or the amalgamation of any two or more companies, and the matters involved cannot be dealt with or dealt with adequately on the petition for sanction of the compromise or arrangement, an application shall be made to the Tribunal under section 232 of the Act, by a notice of admission supported by an affidavit for directions of the Tribunal as to the proceedings to be taken. (2) Notice of admission in such cases shall be given in such manner and to such persons as the Tribunal may direct. Upon the hearing of the notice of admission given under rule 18 or upon any adjourned hearing thereof, the Tribunal may make such order or give such directions as it may think fit, as to the proceedings to be taken for the purpose of reconstruction or amalgamation, as the case may be, including, where necessary, an inquiry as to the creditors of the transferror company and the securing of the debts and claims or any Of the dissenting creditors in such manner as the Tribunal may think just and appropriate. For the purpose of sub-section (7) of section 232 of the Act, every company in relation to which an order is made under sub-section (3) of section 232 Of the Act shall until the scheme is fully implemented, file with the Registrar of Companies, the statement in Form No. CAA.8 along with such fee as specified in the Companies (Registration Offices and Fees) Rules, 2014 within two hundred and ten days from the end of each financial year. At any time after issuing an order sanctioning the compromise or arrangement, the Tribunal may, either on its own motion or on the application of any interested person, make an order directing the company or where the company is being wound-up, its liquidator, to submit to the Tribunal within such time as the Tribunal may fix, a report on the working of the said compromise or arrangement and on consideration Of the report, the Tribunal may pass such orders or give such directions as it may think fit. (1) The company, or any creditor or member thereof, or in case of a company which is being wound-up, its liquidator, may, at any time after the passing of the order sanctioning the compromise or arrangement, apply to the Tribunal for the determination of any question relating to the working of the compromise or arrangement. (2) The application shall in the first instance be posted before the Tribunal for directions as to the notices and the advertisement, if any, to be issued, as the Tribunal may direct. (3) The Tribunal may, on such application, pass such orders and give such directions as it may think fit in regard to the matter, and may make such modifications in the compromise or arrangement as it may consider necessary for the proper working thereof, or pass such Orders as it may think fit in the circumstances of the case. (1) At any time during the proceedings, if the Tribunal hearing a petition or application under these Rules is of the opinion that the petition or application or evidence or information or statement is required to be filed in the form of affidavit, the Same may be ordered by the Tribunal in the manner as the Tribunal may think fit. (2) The Tribunal may pass any direction(s) or order or dispense with any procedure prescribed by these rules in pursuance of the object of the provisions for implementation of the scheme of arrangement or compromise or restructuring or otherwise practicable except on those matters specifically provided in the Act. (1) The notice of the proposed scheme, under clause (a) of sub-section (1) of section 233 of the Act, to invite objections or suggestions from the Registrar and Official Liquidator or persons affected by the scheme shall be in Form No. CAA.9. (4) (a) For the purposes of sub-section (2) or section 233 Of the Act, the transferee company shall, within seven days after the conclusion or the meeting of members or class of members or creditors or class Of creditors, file a copy of the scheme as agreed to by the members and creditors, along with a report of the result of each or the meetings in Form No. CAA.11 with the Central Government, along with the fees as provided under the Companies (Registration Offices and Fees) Rules, 2014. (5) Where no objection or suggestion is received to the scheme from the Registrar of Companies and Official Liquidator or where the objection or suggestion of Registrar and Official Liquidator is deemed to be not sustainable and the Central Government is of the opinion that the scheme is in the public interest or in the interest Of creditors, the Central Government. shall issue a confirmation order of such scheme of merger or amalgamation in Form No. CAA. 12. (6) Where objections or suggestions are received from the Registrar of Companies or Official Liquidator and the Central Government is of the opinion, whether on the basis of such objections or otherwise, that the scheme is not in the public interest or in the interest of creditors, it may file an application before the Tribunal in Form No. CAA.13 within sixty days or the receipt or the scheme Stating its objections or opinion and requesting that Tribunal may consider the scheme under section 232 of the Act. (7) The confirmation order of the scheme issued by the Central Government or Tribunal under sub-section (7) of section 233 of the Act, shall be filed, within thirty days of the receipt of the order of confirmation, in Form INC-28 along with the fees as provided under Companies (Registration Offices and Fees) Rules, 2014 with the Registrar of Companies having jurisdiction over the transferee and transferror companies respectively. For the purposes of sub-section (1) of section 235 of the Act, the transferee company shall send a notice to the dissenting shareholder(s) or the transferror company, in Form No. CAA.14 at the last intimated address of such shareholder, for acquiring the shares of such dissenting shareholders. (1) For the purposes of clause (a) of sub-section (1) of section 238 of the Act, every circular containing the offer of scheme or contract involving transfer of shares or any class of shares and recommendation to the members of the transferror company by its directors to accept such offer, shall be accompanied by such information as set out in Form No. CAA.15. Any aggrieved party may file an appeal against the order of the Registrar of Companies refusing to register any circular under sub-section (2) of section 238 of the Act and the said appeal shall be in the Form No. 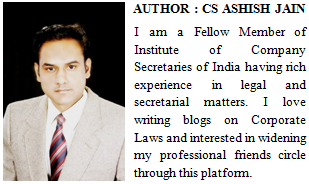 NCLT.9 (appended in the National Company Law Tribunal Rules, 2016) supported with an affidavit in the Form No. NCLT.6 (appended in the National Company Law Tribunal Rules, 2016).